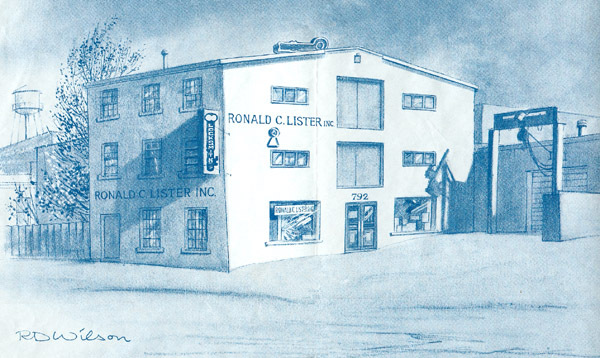 About Ronald C. Lister Inc.
Ronald C. Lister, a self-taught locksmith, started to work following the death of his father. He worked at everything from ditch-digging to painting & carpentry to office work & sales. During the second world war, Mr. Lister worked in a munitions plant as a locksmith & safe expert in charge of locks and keys. At that time, you could say that he had found his calling. After the birth of their son in 1946, Ron Lister and his wife Pearl decided to invest their hard-earned money and take a chance in starting their own locksmith company. Mr. Lister spent endless hours at the shop in hopes of building a future for his new family. His hard work paid off and, today, his company Ronald C. Lister Canada Inc. has grown extensively and includes two offices located in Montreal and Ottawa. Ronald C. Lister Canada Inc. has a dedicated team of highly trained, skilled and bonded locksmiths, safe experts and high-tech electronic security specialists to provide you with the ULTIMATE protection in a ONE-STOP Security Shop. Our service vehicles are fully equipped to provide emergency service, sales and repairs 24 hours a day, 7 days a week. Our client base consists of commercial, industrial & residential accounts. Among them are several management and real estate companies who have entrusted R.C. Lister with the responsibility of maintaining new & existing keying systems. All systems and materials installed by Ronald C. Lister Canada Inc. are guaranteed for installation service (labour) for 6 months and material for 12 months, and are backed by the Lister’s renowned after sales service.